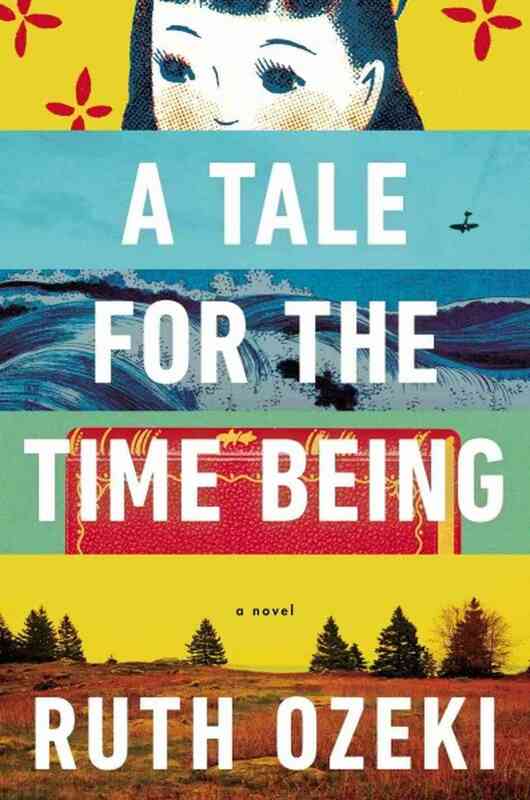 Ruth Ozeki's A Tale for the Time Being is one of those books that kept popping up for me all over the internet. All the reviews I saw were positive, so I decided that I wanted to read it even though I had only a very vague idea of what the book was about. It recently came available from the library on digital download and I listened to it all last week on my commute. Ozeki herself narrates the novel, and she is really good. Both Jenny and Vasilly read and loved this book (if that isn't enough to induce you to read it, then I wash my hands of you), but like me, they struggled to describe the plot in a way that will make you run out to the store or library or internet and grab it immediately. The story revolves around two women. Nao Yasutani is a teenager who grew up in California and then moved back with her parents to Japan. She struggles in school, is constantly bullied by her peers, and has a lot of difficulties at home, too, where she deals with a suicidal father. She gets through her days with the help of her great-grandmother, a Buddhist nun who always knows just what to say and do. Ruth is a middle-aged author who lives on a remote Canadian island. One day, she finds Nao's diary washed up on the shore of the beach in a trash bag. As she reads Nao's journal, she becomes obsessed with finding out more about Nao and helping the young girl through her difficult life. See? Reading the above summary does not make me want to read the book and I already read and loved it. So perhaps it's best to go into this novel as I did, with just a vague idea of the plot and the knowledge that people who read the book REALLY REALLY loved it. Nao Yasutani is one of the most charismatic and engaging narrators I have come across in a long time. She struggles through so many horrible things but her voice is always so spot-on and real and perfect, I just fell in love with her. I can completely understand why Ruth felt so invested in her story; I felt invested in it, too. There is so much in this book besides Nao's scary life and Ruth's isolated one. There is philosophical discussion, a lot of information about crows, a whole bunch of tear-jerking moments about the strong bonds between different family members (particularly between a girl and her father), how difficult it can be to deal with a crisis of conscience, and so much more. Ozeki also does something similar to G. Willow Wilson in the way they approach time and how we control time, but I think Ozeki's method was easier for me to understand than the one Wilson used in Alif the Unseen. There are so many lovely, beautiful messages in this book and they are not at all preachy, which is a small issue I had with the other book I read by Ozeki, My Year of Meats. This one, I had no issues with. The whole story is a delight and I was utterly enchanted. The little twist of magical realism at the end was welcome, too. I suppose some people may find it odd, but I thought it was perfect and it fit so well within the story. Truly a wonderful book to help close out 2013. Highly recommended. I started reading this a couple of weeks ago but I had to put it down midway through -- I found the bullying so disturbing, and I have two teenaged daughters, so it was kind of painful to read. I put it down to finish something for a book group and I just couldn't pick it up again. Maybe I'll try again later. I really want to read this at some point. It has called to me since it was released, but I have just not got around to it. Oh wow. I'm so glad you enjoyed it. It's so hard to describe this book which may be part of its magic. Your review makes me want to listen to it on audio now. You're so right. The premise sounds only kind of "meh" but I still want to read this book SO BAD. For me it's the cover. I love the illustrator, and all the great buzz! Woot! I actually have this book but just haven't been drawn to read it. Sounds like I really should! Except I'm not really into magical realism so I'm not sure how if feel about that.. I read this and loved it too, but man there were some tough parts to get through. She's not afraid to throw awful things at the reader. I was still glad I read it though! The grandmother! Wasn't the ending lovely? I know that kind of magical realism isn't everybody's cup of tea -- magical realism is usually not MY cup of tea, in fact -- but I thought it was fantastic. The way you talk about this book makes me want to pick it up and read it right this second and nothing quite else has made it sound appealing. I might have to buy this one! I was in the minority in not liking this one as well as My Year of Meats or All Over Creation. But I do like some kinds of preachiness--this one had a self-indulgent point of view in the "Ruth" sections that added up to the kind of preachiness I don't like, an assumption that one point of view is vastly better than another. Reminds me of Barbara Kingsolver at her worst. I'm glad to see this post -- I loved this book. A top read of 2013 for me. Loved My Year of Meats (though I can see how the preachy bits might come through there) but loved this one even more. Nao and her greatgrandmother were extraordinary. Such a good read! I had this from the library, but didn't get it read in time and had to return it. I'm hoping it will come back my way again soon!